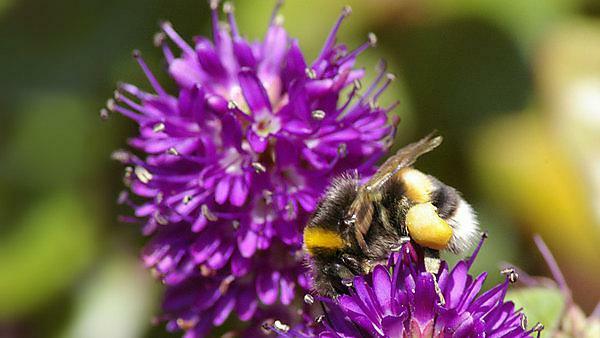 Sarah Rustage, along with Mairi Knight and Richard Billington and collaborators Jon Ellis at Manchester Metropolitan University and Mark Brown at Royal Holloway University of London, is studying the relationship between genetic diversity and correlates of fitness using bumblebee species as a model. Evolutionary theory predicts that populations that are small and declining will suffer from reduced genetic diversity which can then, alongside demographic factors, drive populations into an ‘extinction vortex’, which they are unlikely to recover from. The main objective of this study is to gain insight into how we can more accurately and usefully assess population viability and health, knowledge which can then be applied generally to assessing conservation threats, and ultimately successful population management. Bumblebees are a good model system for this kind of study as there are several species that are widespread and common throughout the UK, but equally others that are rare and highly localised in their distribution. These contrasting extremes are very useful for comparative studies where we can start to build a picture of whether the theoretical expectations of low genetic diversity correlate with other measures of individual fitness and population viability. In addition most UK populations of bumblebees are considered to be generally declining in numbers and as important pollinators (‘ecosystem engineers’) understanding the patterns and process of these population declines, and trying to assemble predictive tools for population management, is particularly important. Sarah has been sampling bees from several species from across the UK, collecting data on their ecology and abundance at each site. She is currently assessing various measures of individual fitness in her collected samples, including parasite loads and immunocompetence, alongside screening individuals at genetic markers.